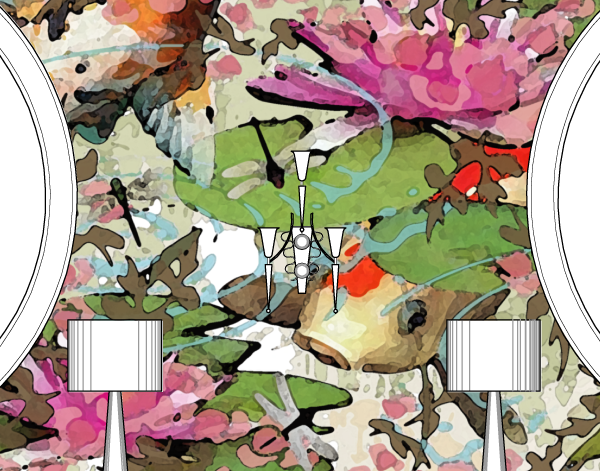 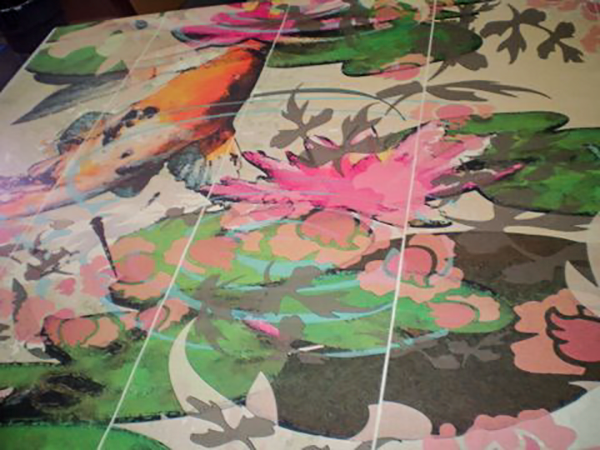 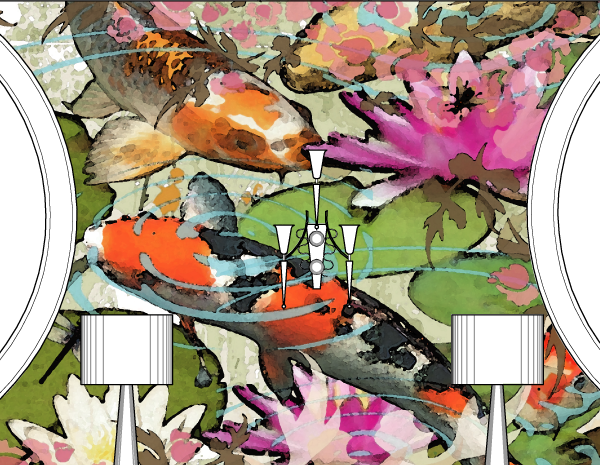 Custom digital koi pond artwork created for The Kress, a 38,000 sq. 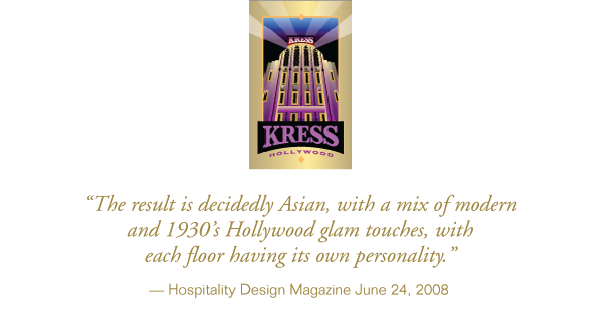 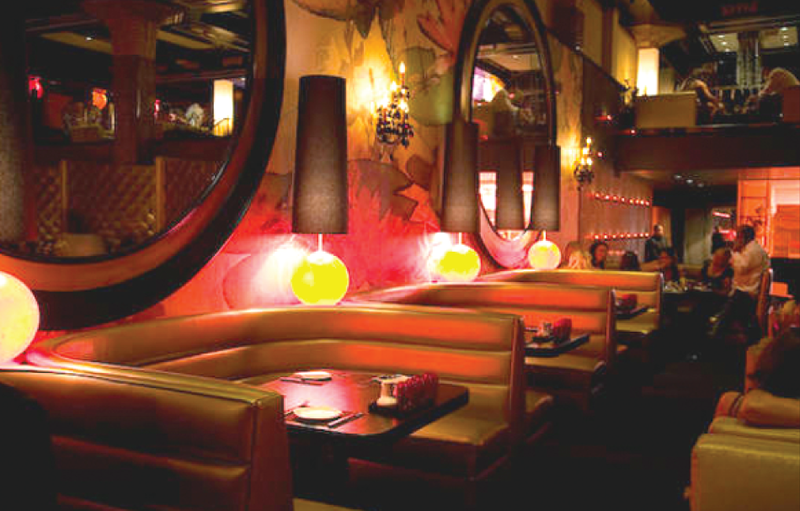 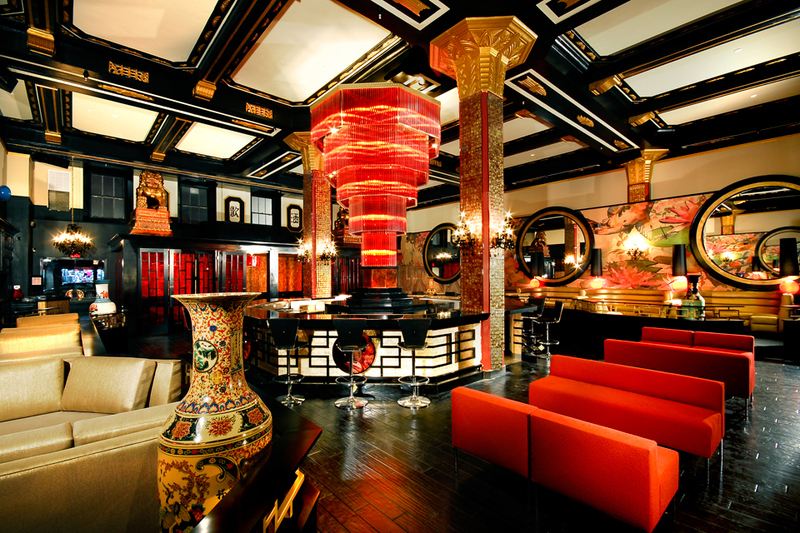 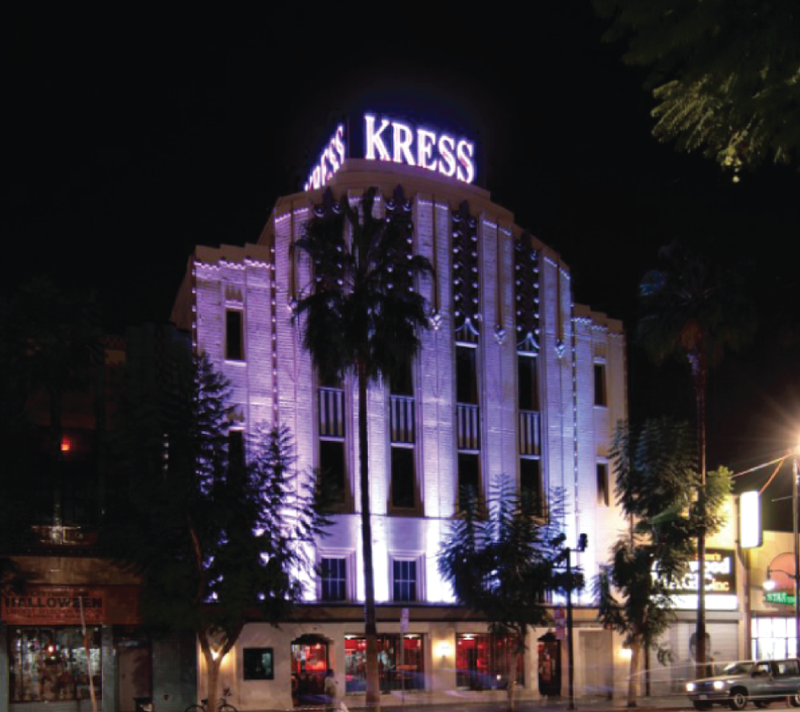 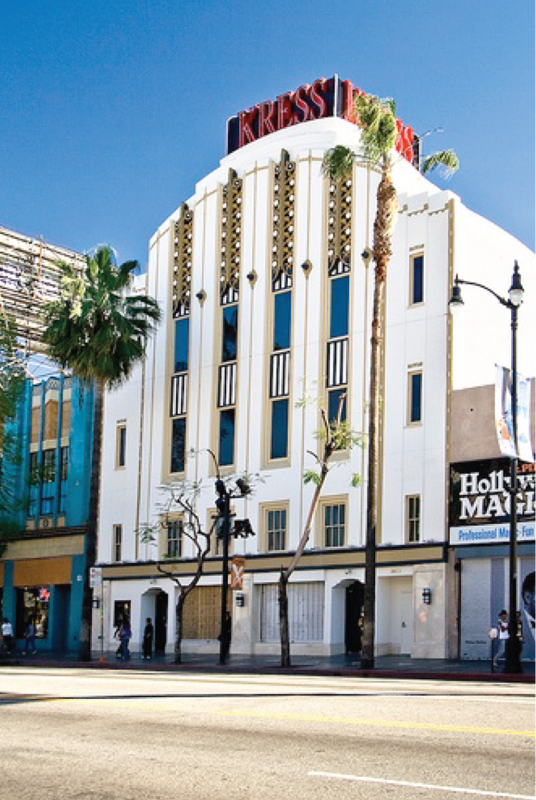 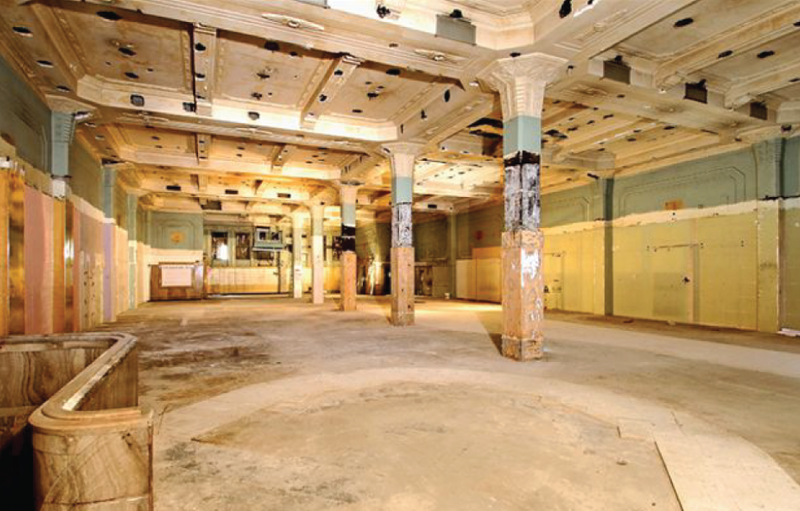 ft. mult-level nightclub, restaurant, sushi bar and event space located in the restored 1934 Art Deco landmark Kress Building, former home of Frederick's of Hollywood in Hollywood, CA. 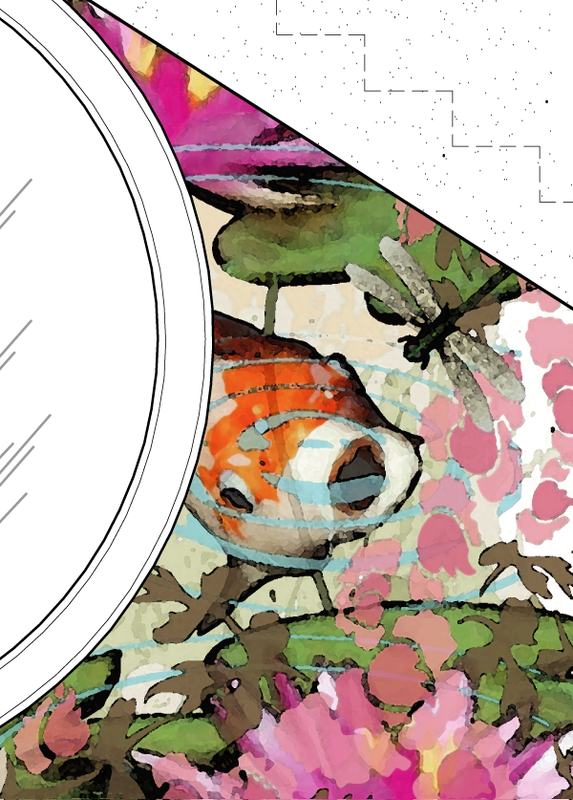 The artwork is a collage of both photographic and illustrative vector elements and was printed on a natural grasscloth wallcovering, giving the final artwork a lovely antiqued tea-stained quality.